I've recently made a fresh image from scratch for my buddies and I wanted to share it with our community. The goal was to setup a minimal Graphical interface, without additional bloatware to ease CPU load and reduce image size. Changelog moved to sourceforge's readme for each version. Please submit requests and bugs via sourceforge ticket system. By default this image uses 1000hz, You can change this value with mouse-config added in 1.0 version, run 'sudo mouse-config' in terminal to enter setup. Last edited by mkubiak on Sat Nov 18, 2017 6:19 pm, edited 25 times in total. Great work mate. Others will surely benefit form this tutorial! at home i'll extend the tutorial with more images and systems for flashing and connecting with VNC. I've been using the x86 image up to now, however, I would like to update Gimx to the latest version and I am not able to do it. Can you, or anybody with Linux knowledge help me with this? 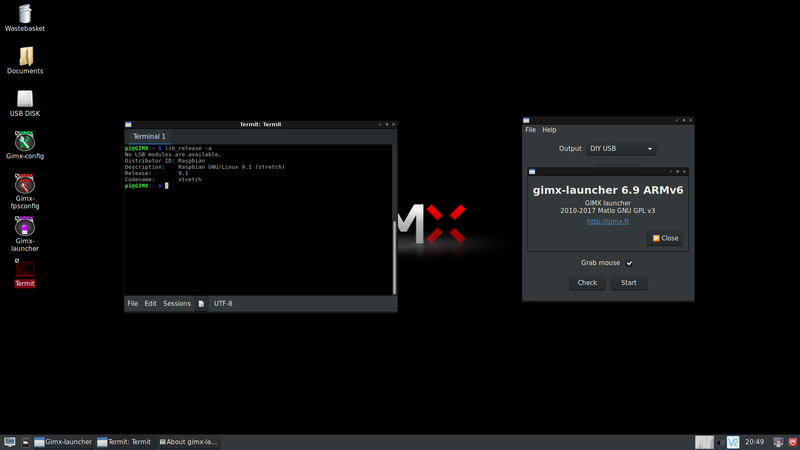 - Open gimx-launcher. Click Help / Update, click yes whatever it said. I'm trying your gimxos on Orange Pi Zero but I face with strange problem: if I connect DS4 and gimx adapter to OrangePi Zero through a usb hub, DS4 will disconnect after seconds. If I unplug microusb side from Gimx adapter, this DS4 stays connect perfectly. 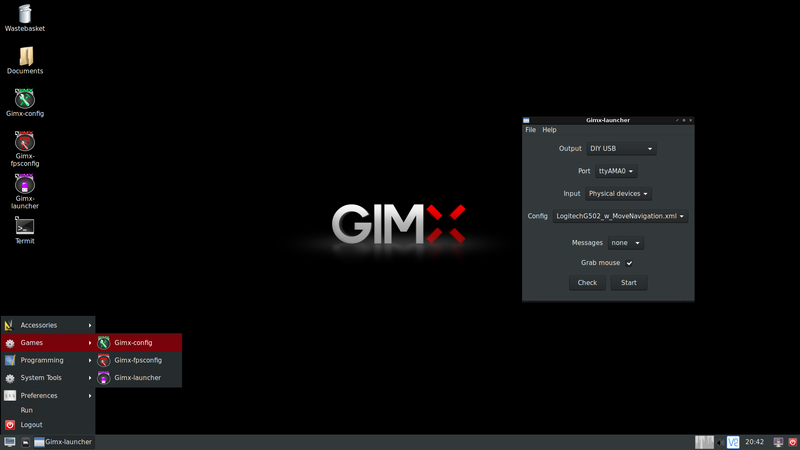 P/s: I've tried with another image from titanium (memberlist.php?mode=viewprofile&u=1774) and gimx works flawlessly. So I think this related to kernel or something?? You are actually first person who reported this problem. Are You using the opiz with usb and av extension or just the regular one with a single USB port? I'm planning to rebuild entire image since the opi version has problems with python I was unable to fix.